For over 25 years, A1 Asphalt Paving & Sealcoating has been a locally-owned and family-operated asphalt paving service for Acworth, GA and the surrounding areas. We specialize in asphalt paving, tar and chip jobs, sealcoating, parking lot striping and more. Residential and commercial customers choose us for top-level work at affordable prices! 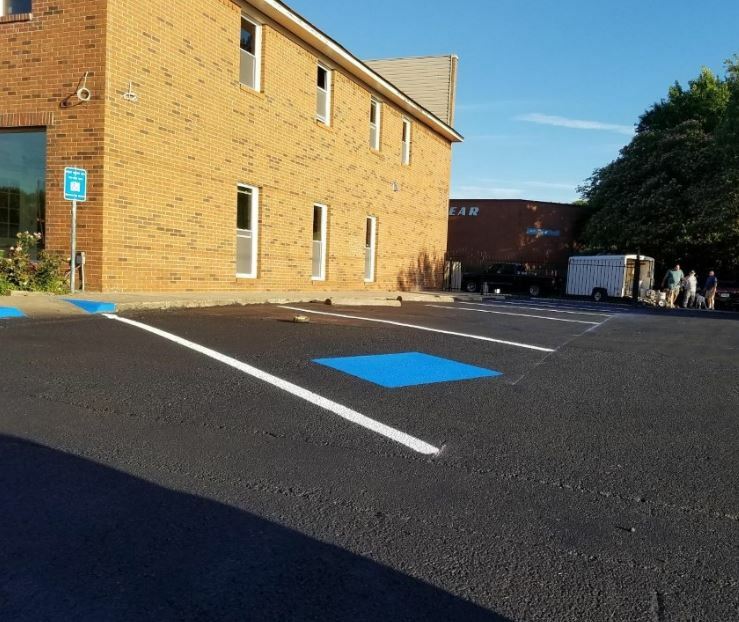 Whether you’ve got asphalt that needs matching and resurfacing, or you’re pouring and paving a brand-new parking lot or driveway, A1 Asphalt Paving & Sealcoating is the company to trust. We bring decades of experience to every jobsite and stand apart from other paving companies in Acworth, GA in the extremely high level of service we offer. No matter the scope or nature of the project, expect us to put in the time, attention to detail and quality you expect to turn out the best results possible. Customer service and satisfaction are two cornerstones of our business, and we’ve developed a reputation for delivering both. Our paving contractors in Acworth, GA are experienced in projects across the board. We welcome projects involving asphalt paving, tarring and chipping, sealcoating and parking lot striping. We also go out of our way to provide asphalt paving repairs for parking lots and driveways, including resurfacing, crack fills, chip sealing, saw-cutting and patching, as well as pothole repair. Our clients range from homeowners with driveway pouring and paving needs, to strip malls, gas stations, motels, commercial lots and more, each with their own unique asphalt demands. We invite you to contact us today regarding your unique project and learn more about how we can assist you in completing it to the highest levels of quality. Our business is fully licensed and insured within the State of Georgia. We’re a family-owned, father and son operation, dedicated to delivering excellence on jobs of all sizes. We have more than 25 years of professional experience and a long list of satisfied clients, in both residential and commercial capacities. In addition to full-scale services, we also have affordable options to meet the needs of our customers. We guarantee top-quality work at affordable prices. Whether it’s a simple chip and tar or a complete resurfacing, we’re ready to tackle the job. Contact us today for more information about our capabilities and pricing. "Jerry was a consummate professional and I am very happy with his work"
"Resurfaced my blacktop driveway, they were a courteous & professional crew. Neat and well done job." "The tar and chip job went great and I would hire them every time."